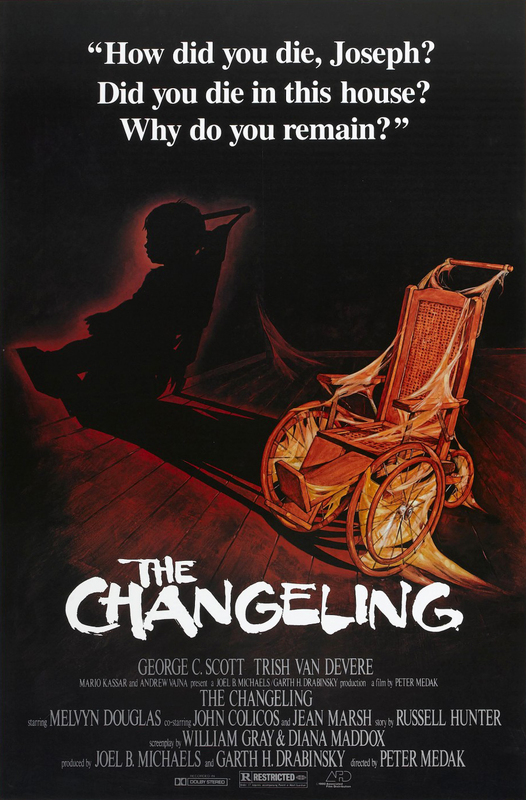 The Changeling (1980) poster, with its stunning art. In skimming over Peter Medak’s career, it’s perhaps unsurprising he’s been comfortable working in film and TV, having started off in Britain as its production boom was ascending, and finding work for the small screen when feature funding dwindled in the 1970s. Veteran directors & peers such as Charles Crichton (A Fish Called Wanda) and Val Guest (The Quatermass Xperiment) similarly switched to TV, while some Canadian ex-pats were lured back to Canada to make tax shelter productions, being key to a point system where the higher top-level Canadian talent, the more points and the bigger the tax write-off. Toronto-born Alvin Rakoff moved to the UK for work and did very well for himself, but between 1979-1981 he directed a quartet of CanCon classiques – City on Fire (1979), King Solomon’s Treasure (1979), Death Ship (1980), and Dirty Tricks (1981), of which the third remains a guilty pleasure & genre classic (as far as ghostly Nazi death ships go). Britain’s Nucleus released a great Region 2 special edition, while Scorpion Releasing managed a new transfer for DVD and a more limited Blu-ray release. That was followed by a new 2K transfer available by Scorpion via Ronin Flix that assembled all the extras from the distinct UK and US releases, respectively, plus limited packaging, and with Scorpion and Code Red now enjoying a broader distribution agreement with KINO’s KL Studio Classics, the 2K Death Ship special edition will street Dec. 11, 2018. Put another way: you can’t kill the ongoing fascination with certain CanCon productions, no matter how much snooty critics wish they’d just all go away. 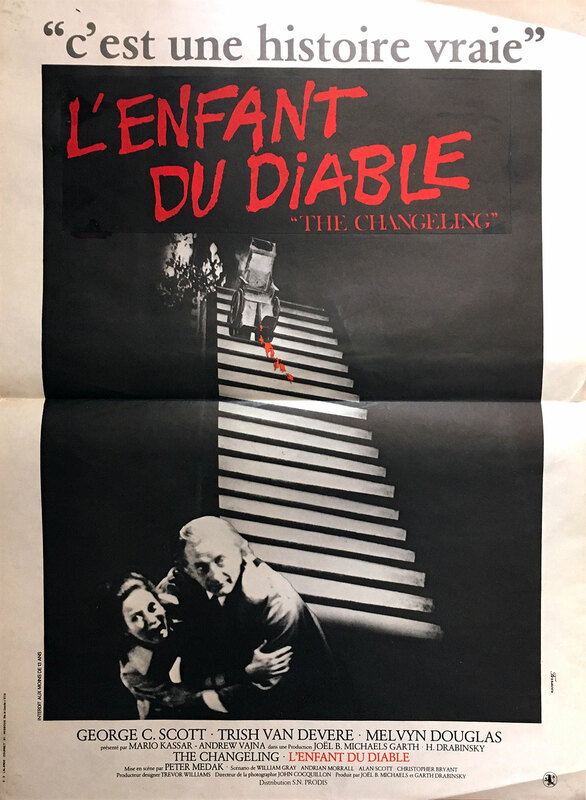 If Death Ship represents the mediocrity of jumbled yet intriguing genre stumbles (Nick Mancuso’s jump from a projection room to a cargo hold of doom makes no sense), then The Changeling (1980) is at the apex of CanCon horror, as well as ghost stories, with Medak wooed to Canada to film this striking and chilling supernatural tale whose reputation kept getting better from repeated home video rentals and TV airings. Both director & producer are quite pleased it’s survived and aged like fine whiskey, and Severin Films’ new Blu presents the film in its best form to date, far exceeding the old HBO / Warner Home Video DVD. Within the review I’ve also included details of the short film that reportedly brought Medak to the attention of producers Joel Michaels and Garth Drabinsky, The Rocking Horse Winner, made for a U.S.-based educational films distributor by a UK-Canadian outfit. I’ll eventually track down the 1949 film version, but the brief summary of the short cites some key elements shared with Changeling tale. Coming next: a review of the still brutal, underrated revenge western The Bravados (1958), released in a very nice Blu-ray by Twilight Time.